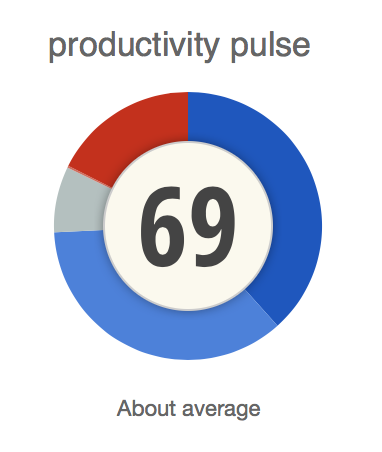 The productivity pulse is a benchmark score of your productivity from 0 - 100. Those scores, along with the time spent in different activities, are used to calculate your "Productivity Pulse." If you spend more time in activities that you have marked as productive, the pulse will rise. If you spend more time in activities marked as distracting, the number will shrink. Think of it as a simple baseline that will give you an at-a-glance idea of how your time is being spent.